The Min Table is a clean-lined dining table designed to be quiet and unassuming. Designed by Luciano Bertoncini in 2011, the simple steel framed Min Table comes in Small and Large variations that can sit between four and eight people respectively. 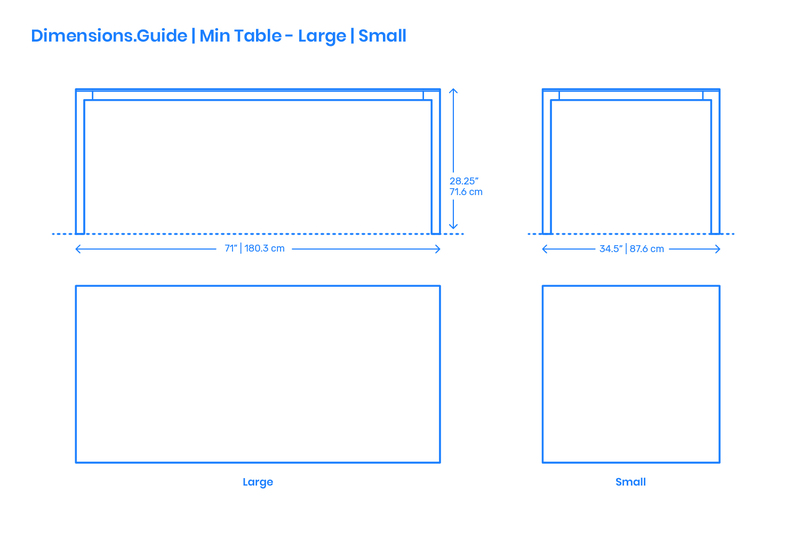 The Min Table has a height of 28.25” | 71.6 cm, a length of 71” | 180.3 cm (Large), and widths of 34.5” | 87.6 cm (Large, Small).